Enjoy this unique experience in an open-air, eye-level electric Cadillac Escalade limousine. Board at a convenient Hollywood location and enjoy a fun sightseeing tour of the Hollywood area, including a stop on Beverly Hills where you can enjoy shopping and dining. 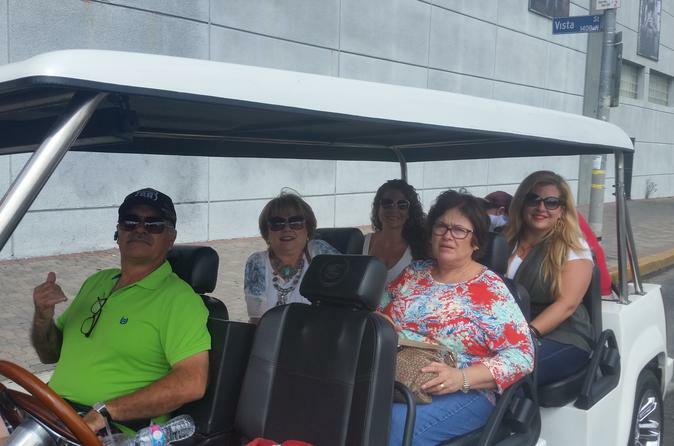 This tour is quite unique and will allow guest passengers flexibility of time in the maximum comfort and enjoyment of their ride through Hollywood and Beverly Hills. After meeting at the departure point, you will go through Hollywood Boulevard, over onto the famed Sunset Strip and Santa Monica Boulevard and finally through Beverly Hills to your destination on Rodeo Drive. There, you will enjoy world-class shopping and dining for approximately 30-minutes before re-boarding for the return of the tour through West Hollywood and other Hollywood Areas. You will also receive discounts at select restaurants and cafes as well as shopping locations (at own expense). Depending on the day and time, the chauffeur will take the best route available for maximum sightseeing and enjoyment and comfort.